ISS held a cake event from Monday to Friday of week commencing Monday 23rd April whereby each day a special cake was made with what we called a secret ingredient which was either a fruit or a vegetable. 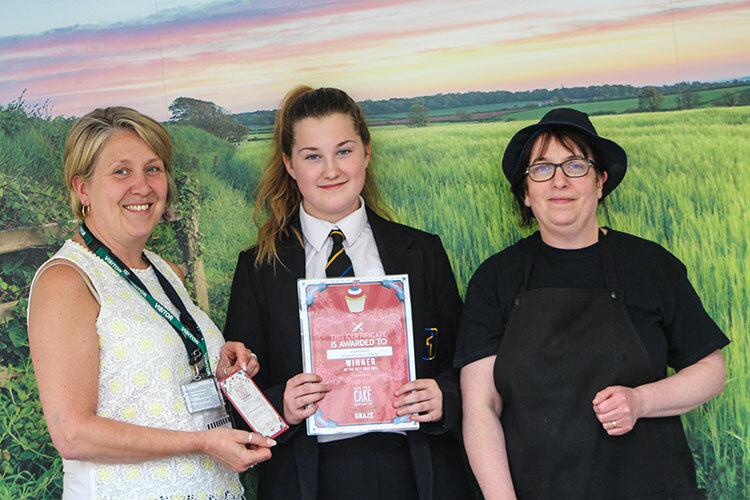 Pupils were encouraged to purchase the cakes and to fill in a card saying what they thought the secret ingredient was, each day a winner was selected and at the end of the week Faith was picked out of the hat from the 5 daily winners. Faith has won £20 to spend at any outlet on a voucher system. 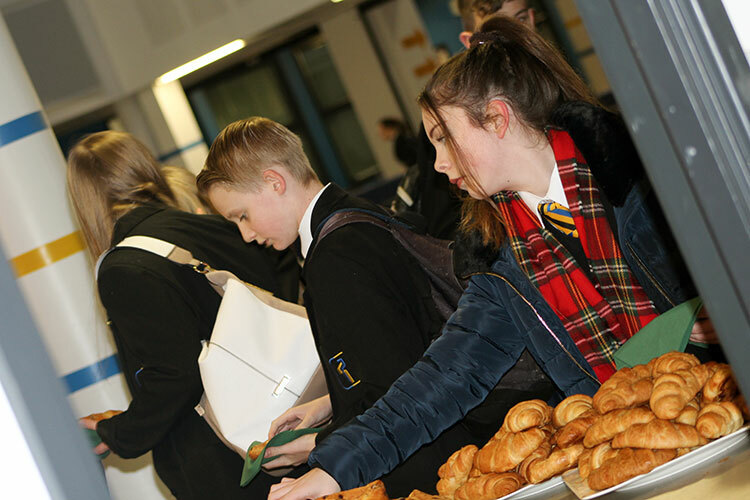 This week we are promoting “ Feed your Brain” encouraging pupils to choose a more healthy option such as fruit pots, granola pots, vegetable sticks, water, wholemeal bread, cake with vegetable in to name a few of the items on sale. On Thursday of this week we are having an American Theme day when the Kitchen side of the Main Forum counter will sell homemade beef burger or sausage and onion hot dog instead of the traditional cottage pie menu. Doughnuts and muffins will also be on sale that day. Today at Winifred Holtby we celebrated ‘breakfast’. 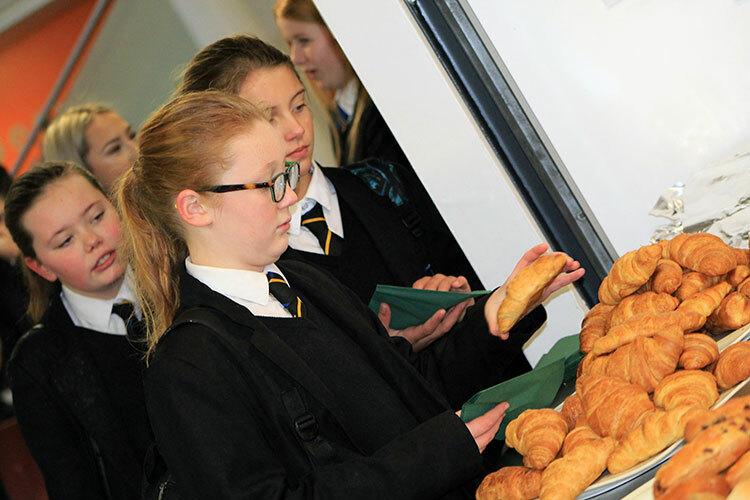 We all know that eating a good breakfast is important and helps pupils achieve success in the classroom, but how many of us do so? 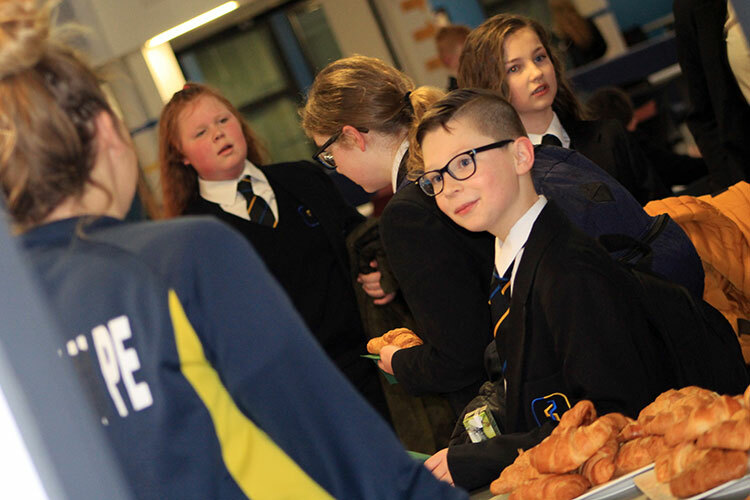 Breakfast time today at Winifred Holtby saw pupils sampling various food and drink with the aim of raising the importance of eating breakfast and also creating a buzz around the Academy. Winifred Holtby Academy welcomed Anna Ashbee (Headstart Intelligence) and Juliet O’Sullivan (Life and Fork Yorkshire) to work with our pupils on a leading Healthy Lifestyles Project. Pupils discussed a range of issues surrounding Health and Fitness and how simple tips in their daily routines can influence the Wellbeing of themselves, and the pupils in our Academy. The activities were engaging and pupils interacted brilliantly with the tasks set. This helped them develop a deeper understanding of how their physical and mental attitude in lessons and everyday life, can be dictated by the foods we eat. Our aim today was to promote a diet rich in fruit and vegetables and a lifestyle rich in activity. 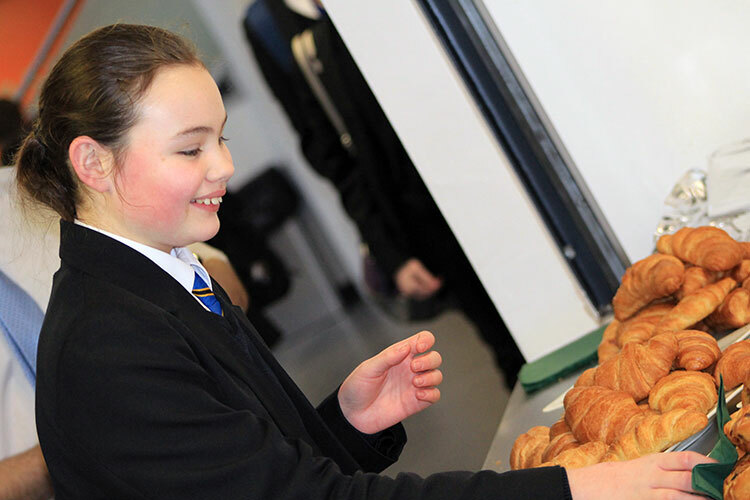 It is also ‘Healthy Eating Week’ which ties in with our Academy Food Technology curriculum allowing pupils to develop their own ideas surrounding Healthy Living. The bikes allowed our pupils to take healthy control over their bodies through pedal powering their own drink. The smoothie bike activities will hopefully help give our pupils ideas to improve their diets and get their bodies moving in the right direction. In total we served 290 pupils and staff. Great effort in 4 hours!! 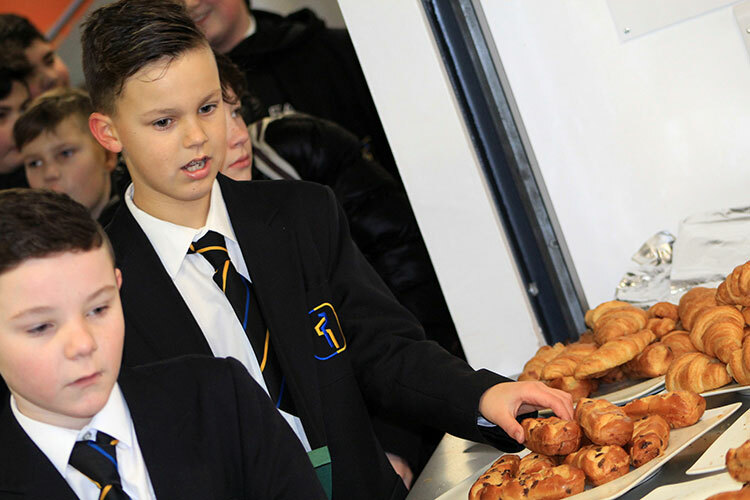 Pupils from Winifred Holtby Academy hosted a School Diners event with celebrity chef Mark Lloyd - the event took place in the Academy's Forum on Saturday 27th May 2017. 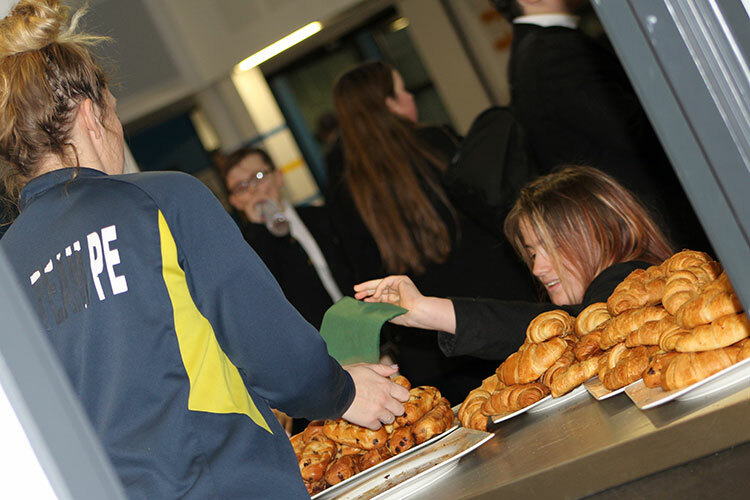 Pupils had been given the opportunity to work under Mark’s guidance to plan, prepare, cook and run a one-day “pop up restaurant” at the Academy. Pupils cooked for parents, teachers, governors and the Lord Mayor after eating guests paid what they felt the meal was worth with the profits made going on a reward for the group or given to a charity of their choice. Pupils arrived at the Academy at 10am ready for a long day. preparing and cooking the food and also ensuring the dining room was decorated and tables set. Mark gave the pupils the itinerary for the day, then split them into three groups - each group had responsibility for a section of the meal - Mark showed pupils how to use the equipment and prepare the food and then they were off - they worked extremely hard and well in their groups and by the evening had succeeded in cooking a fantastic 3 course meal - the menu for the evening was 'super-food salad, roast pork with roast potatoes, vegetables with a cider sauce and chocolate brownie with ice-cream for dessert. At 5.15pm Mark talked them through their roles and responsibilities for the evening which included front of house, plating up and washing. Pupils changed into their evening attire (bow ties included) ready to meet and greet their guests - Pupils served over 35 guests in the evening all before clearing up and cleaning down - their day finished at 9pm. Although it had been a long day it had been very rewarding. Guests were extremely complimentary about their meals and the way in which the pupils had waited on them. Fantastic session with Mark Lloyd in the build-up to our School Diners event. The pupils will be working on a business project using the Academy as a pop up restaurant for the day. Cooking dishes, serving and entertaining the guests during the meal. Mark will be back again in 5 weeks to complete our final project. Exciting times ahead!